Many tourists complain that Britain is one of the most expensive countries to visit. But not everybody knows that there are a lot of sights which can be visited absolutely free of charge when in other countries you will spent a lot of money for similar excursions. 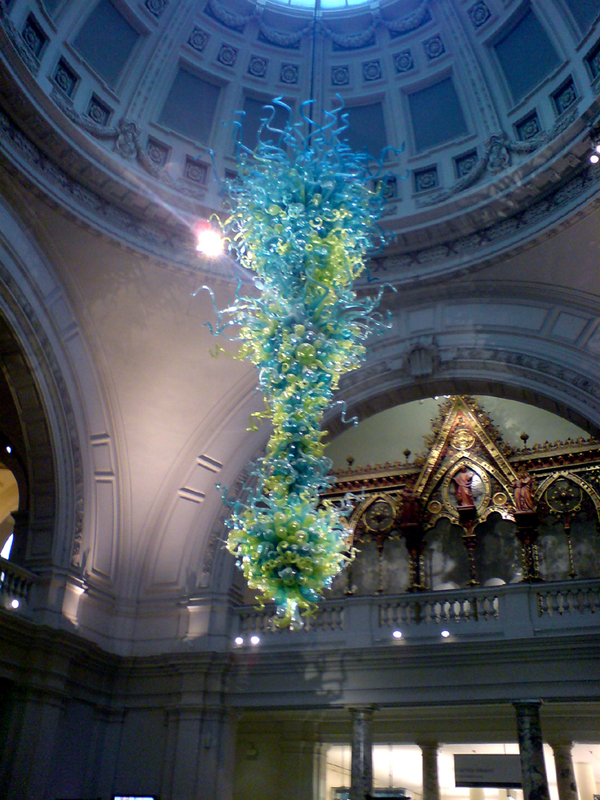 Most of the 240 museums in London are free for all to visit. In this article I will only refer to the 8 memorable museums that I have personally visited. I found these very interesting and it was very clear to me that it would be impossible to mention all the museums let alone visit them. You will have to look up the Internet and choose a museum that interests you. 1. The British museum, considered to be one of the best museums in the world, is simply paradise for fans of Antiquities and Archaeology. More than 13 million exhibits of heritage and cultural history of mankind from all 5 continents since the beginning of known civilizations. 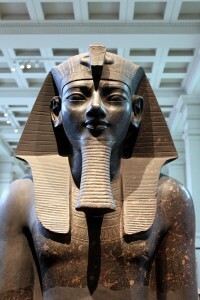 This includes great artifacts from the Egyptian, Greek, Roman and Asian Dynasties with collections of art, manuscripts, rolls, scriptures, books, jewelry, coins and sculptures. You will see Egyptian mummies, sarcophagus and the well-known Rosetta stone found in 1799– a key element in the translation of hieroglyphs. Many antiquities of Mesopotamia are there including the «Diamond Sutra», arguably the most ancient book in the world, many finds from James Cook’s travels, large number of marble sculptures from the Parthenon including the Elgin marbles. The important thing about this Museum is that it preserved all these valuable fantastic historical marvels as they would have disappeared for ever. For example during the Second World War they could have even been destroyed in the bombings. Let historians argue about the authenticity of some exhibits, we have a here a great opportunity to acquire knowledge of the different civilizations that came before us and their great works. 2. Should you prefer a time of dinosaurs, The Natural History Museum offers you a very real idea of what it must have been like. As soon as you enter the great big hall of the museum, a huge skeleton of a dinosaur some 26 meters in length will greet you. In many other areas you will come across every conceivable animal, bird, fish and insect known on this planet. You can experience seeing the smallest insect in the world to the giant blue whale and even an animated full size automaton of a giant Dinosaur. You will also find many effigies of recently extinct animal species and birds, including mammoths and dinosaurs. Remember the Dodo bird, the fantastic character from Lewis Carroll’s fairy tale “Alice in Wonderland”? You will find here a replica of the Dodo and discover that such a bird really did exist and it was not a mythical bird as thought of in the 19th century. Unfortunately, these birds that lived on the Island of Mauritius disappeared forever as they could not fly and became easy pray of the first human settlers who killed them for food. Pictures and written documents of the 17th century helped to reproduce a replica of this fantastic and beautiful bird. 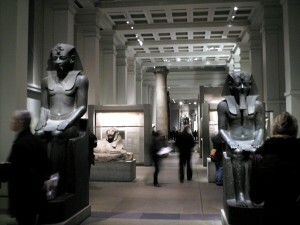 There are in excess of 70 million other exhibits to see here! So, don’t get lost!!! 4. What sign is the most annoying in all museums? «Do not touch». How frustrating when you really want to feel something yet you cannot even get near it. At last there is a museum where it’s possible to touch many exhibits and even press on buttons to animate some of them. 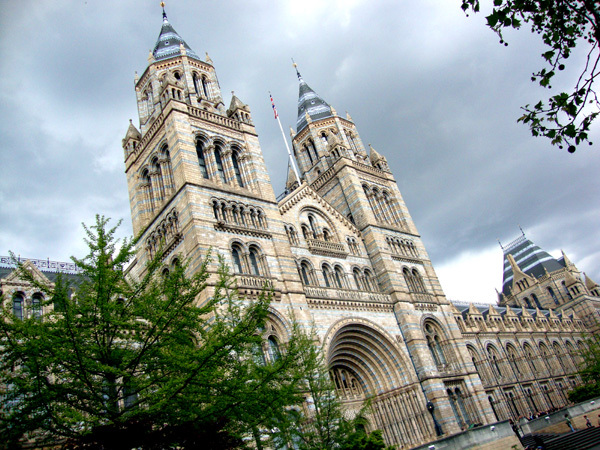 The Science museum contains exhibits of most human inventions from our scientific history. There is a reconstruction of the DNA model, a wonderful collection of clocks, presses, medical tools, one of the first locomotive engines” The Rocket”, huge Victorian steam engines and the spaceship Apollo as well as some full-scale models of aeroplanes and automobiles. You should go to see and touch all these wonderful inventions! 5. After you get bored with doing your usual photo session in front of fountains and lions when visiting Trafalgar Square and meandering in crowds of multicolored tourists, it might be a great idea to plunge yourself in the world of art, especially a world that is next door. Simply climb up the stars from the fountains of the square and enter into the National gallery. There you will see more than 2000 pictures of Western European art, including paintings by Van Dyke, Raphael, Rubens, Titian, and other great artists from the beginning of the 13th century, till the end of the 19th. Enjoy a pure delight to the eyes and take a bit of time out to dream and rest a little. 6. The National portrait gallery contains portraits of well known famous British people as well as portraits of the Royal families since the Tudor era. A large bookshop is also there for you to acquire copies of your choice including many faces of our Queen by famous artists. 7. 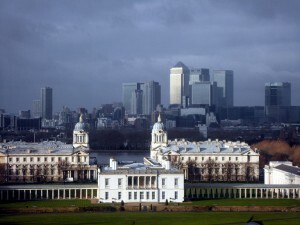 Time starts in Greenwich! As here is where zero time is situated. 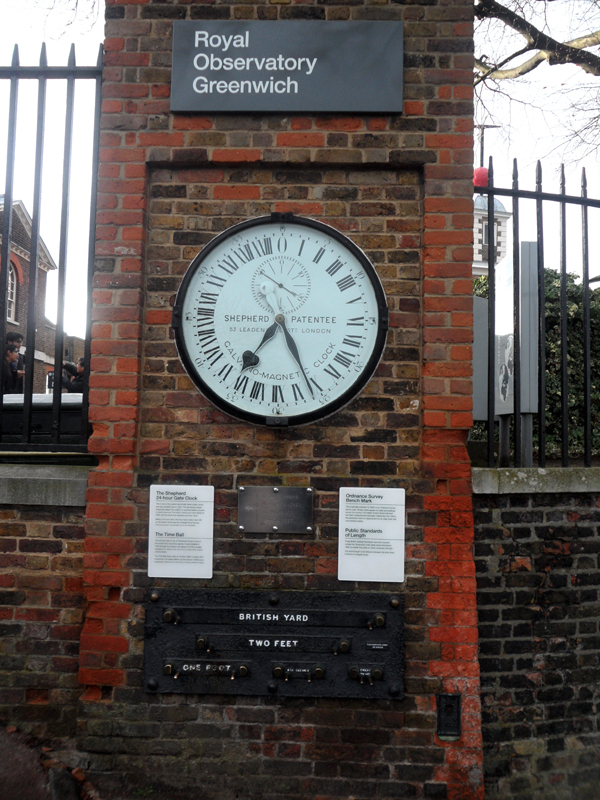 We call it Greenwich Mean Time! In the Observatory you will see the “real” meridian. Long ago it was made from a brass tape, then from stainless steel and now, in a century of scientific and technical progress, it is simply a beam of green laser light. 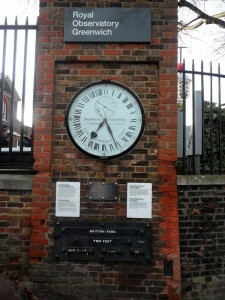 Also in the museum of Greenwich there is a unique collection of time devices. Come and put one foot in today and another in yesterday as you straddle the Meridian line in London’s Greenwich observatory. 8. If you are a real fan of modern art, then you will get real pleasure from the London Tate Modern Gallery, the most visited gallery of modern art in the world. Abstraction ism, Expressionism, abstract Impressionism, and all sorts of other “-isms”… your head will begin to spin just looking at famous works by Kazimir Malevich, Andy Warhol, Pablo Picasso, etc… I must honestly admit that I am not a great fan of the postmodern or similar types of art but I strongly advise you to visit this gallery too. Not only because some exhibits will have you wondering if they really are art or simply products of inspiration and the imagination of artists with an unusual perception of the world. Each of these museums is worth spending at least one day in, choose one of them, and enjoy a day out if you love acquiring knowledge about your favourite preferences. 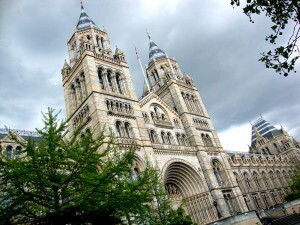 This entry was posted in History&Towns&Castles&Palaces&Museums, Video and tagged Memorable museums of London. Bookmark the permalink.